Last week, the Global Aquaculture Alliance announced the launch of the new MyGAA app to accompany the MyGAA online community — another tool for aquaculture professionals and enthusiasts to connect and engage (instructions for how to download below). 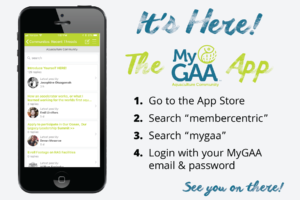 Download the app for on-the-go access: The MyGAA app allows users to utilize all of their favorite resources that MyGAA has to offer — from discussion posts to job postings to an event calendar — through their phones. No bulky desktop computer necessary! Download the app for networking opportunities: MyGAA is the best way for you to connect with others within the aquaculture industry, or for those looking to get into it. The app makes it easy to find your colleagues and to connect with new people, as well. Download the app for single sign-on: Unlike the website version of MyGAA, once you sign in on the app for the first time, you won’t have to log in again, just like all of your other social media apps. Haven’t created a MyGAA account yet? Go here.